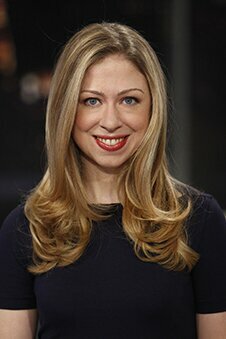 Chelsea Clinton, Vice Chair of the Clinton Foundation, works alongside her parents, President Bill Clinton and Secretary Hillary Rodham Clinton, to drive the vision and work of the Clinton Foundation. Over the past 13 years, the Foundation has built partnerships with great purpose among governments, businesses, NGOs, and individuals everywhere to strengthen health systems in developing countries, fight climate change, expand economic opportunity in Africa, Latin America, and the United States, increase opportunity for women and girls around the world, and help Americans live healthier lives. Additionally, Clinton Global Initiative members have made more than 2,800 Commitments to Action to improve more than 430 million lives in more than 180 countries. Chelsea's work at the Clinton Foundation emphasizes improving global and domestic health, creating service opportunities, and empowering the next generation of leaders. She focuses especially on the Foundation's health programs, including the Clinton Health Access Initiative, which strengthens health care and access to lifesaving services in the developing world; the Alliance for a Healthier Generation, which fights childhood obesity in the United States; and the Clinton Health Matters Initiative, which addresses preventable disease in the United States. Chelsea also established – and continues to lead – the Clinton Foundation Day of Action program, which identifies and organizes meaningful service opportunities for Foundation staff, friends, and partners and for the wider Foundation community. To help advance the full participation of women and girls around the world, Chelsea and Secretary Clinton, co-lead the Foundation’s newest initiative, No Ceilings: The Full Participation Project. As one of the strongest champions of the Clinton Global Initiative University, she works to empower the next generation of change makers to take action on some of the world's most urgent challenges. Chelsea also serves on the boards of the Clinton Health Access Initiative, the School of American Ballet, the Africa Center and the Weill Cornell Medical College. She is the Co-Chair of the Advisory Board of the Of Many Institute at NYU. Chelsea holds a B.A. from Stanford, a MPhil from Oxford, a MPH from Columbia's Mailman School of Public Health, and a Doctorate in International Relations from Oxford University. No two people have placed a more indelible mark on the federal food programs than Senator Harkin and Under Secretary Concannon. Senator Harkin will look back on over 40 years of the programs’ growth and reflect on the obstacles they have overcome and the great successes they have achieved. Under Secretary Concannon will bring the story forward since 2009, during the Obama Administration. Both speakers will look into the crystal ball to predict what is in store for federal food programs over the next few years. Audience members will also have a chance to ask questions during this captivating session. 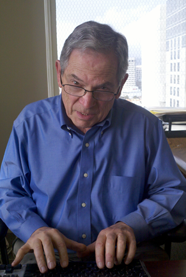 Ken Hecht is the Director of Policy at the Nutrition Policy Institute, University of California, where he is responsible for helping to develop research studies and evaluations that are likely to inform and support the development of strong nutrition policy. In 2012-13, he worked as a consultant in Israel for MAZON: A Jewish Response to Hunger and then for the Israeli National Council on Nutrition Security, which was established by the Knesset to develop nutrition policy and recommendations for key nutrition programs for the State of Israel. In 1992 he co-founded California Food Policy Advocates, a statewide nutrition policy and advocacy organization, where he served as executive director until 2012. Before that, he founded and practiced law in the Youth Law Center and Employment Law Center, two legal services organizations. 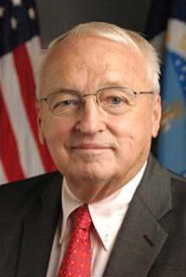 Kevin W. Concannon was nominated by President Obama and Secretary Vilsack and confirmed by the U.S. Senate in July 2009 to serve as Under Secretary for Food, Nutrition, and Consumer Services in the United States Department of Agriculture (USDA). Food, Nutrition, and Consumer Services has principal responsibilities and funding authority for Food and Nutrition Service (FNS), which serves 1 in 4 Americans, and has lead responsibilities for promoting a healthful diet through the Center for Nutrition Policy and Promotion. FNS's programs include the Supplemental Nutrition Assistance Program (SNAP); child nutrition programs including National School Lunch, School Breakfast, and Summer Food Service Programs; The Child and Adult Care Food Program; the Special Supplemental Nutrition Program for Women, Infants, and Children (WIC); the Commodity Supplemental Food Program; Food Distribution Program on Indian Reservations; The Emergency Food Assistance Program; and other nutrition programs. Under Secretary Concannon has had a lengthy and distinguished career in public service. Over the past twenty-five years, he has served as Director of State Health and Human Services departments in Maine, Oregon, and Iowa. He has championed expanded services, improved access, alternatives to institutions, consumer choices, affordable health care, diversity in workplace and programs, and the modernization of public information technology systems. Tom has long believed that in America, we have a "sick care" system, not a health care system. Rather than treating people once they get sick, he believes that we should remove the barriers to a healthy lifestyle, reduce chronic disease and rein in the high cost of health care, creating a "wellness society" in America. As chairman of the Senate panel that funds medical research, he co-led the effort between 1998 and 2003 to double funding for research into cardiovascular disease, cancer, Alzheimer's and other diseases. As a member of the Senate Health, Education, Labor and Pensions (HELP) Committee, he crafted the prevention and wellness title of the health reform bill, The Patient Protection and Affordable Care Act. This historic investment in prevention across the full spectrum — at the federal, clinical and community level — was signed into law as part of health reform. As a young senator, Tom was tapped by Senator Ted Kennedy to craft legislation to protect the civil rights of millions of Americans with physical and mental disabilities and what emerged from that process would later become Tom's signature legislative achievement — The Americans with Disabilities Act (ADA). As the chair of the Senate subcommittee that funds education, Tom has fought to improve education in Iowa and across the country. He has worked to reduce class size, give students better computer and Internet access, expand school counseling and safety programs and improve teacher training. Tom's dedication to agriculture dates back to 1975 when he first came to Congress and became a member of the Agriculture Committee. In that time, he served as Chairman of the Senate Committee on Agriculture, where he led efforts to enact the 2002 and 2007 farm bills. These bills greatly expanded federal support for renewable energy, strengthened the farm income safety net, preserved millions of acres of agricultural land, invested hundreds of millions of dollars in small towns through rural development efforts and ensured tens of millions of Americans have access to sufficient and healthful food. In 1974, Tom was elected to Congress from Iowa's Fifth Congressional District. In 1984, after serving 10 years in the U.S. House of Representatives, Tom challenged an incumbent Senator and won. Iowans returned him to the Senate in 1990, 1996 and again in 2002. In November 2008, Tom made history by becoming the first Iowa Democrat to win a fifth term in the U.S. Senate. Immediately following the plenary session, please join us in collectively honoring Senator Tom Harkin for his courageous and exemplary work in the areas of nutrition, wellness and early childhood education. Senator Harkin has left a remarkable and distinguished record of public service and we thank him for championing numerous social justice and health and wellness issues that have influenced the health and well-being for future generations to come. 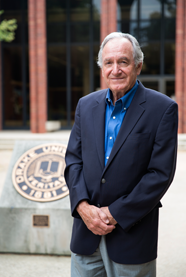 To learn more about Senator Tom Harkin's achievements in health and wellness, please click here to read about his legacy. Rishi Manchanda, MD, MPH, is President of HealthBegins, an organization that provides "upstream" quality improvement training, clinic redesign and technology to transform healthcare and the social determinants of health. Dr. Manchanda is a dual board-certified internist and pediatrician, a board member of the National Physicians Alliance, and a fellow in the California Health Care Foundation's Healthcare Leadership Program. He is the lead physician for homeless primary care at the VA in Los Angeles, where he has built clinics for high-utilizer homeless veterans with complex chronic disease. Dr. Manchanda was the first Director of Social Medicine and Health Equity at a large community health center network in south Los Angeles, where he led health and human rights-based initiatives to transform population health. In 2008, he started RxDemocracy, a nonpartisan coalition that has registered over 30,000 voters in doctors' offices and hospitals nationwide. His 2013 book, "The Upstream Doctors," introduces a new model of the healthcare workforce that includes clinic-based "Upstreamists" who improve key social and environmental determinants of health. 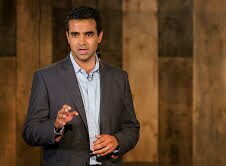 Dr. Manchanda is a member of the leadership team of the Institute for Healthcare Improvement's 100 Million Lives Campaign and, in 2014, was recognized in The Atlantic magazine as one of twenty leading healthcare innovators in America.